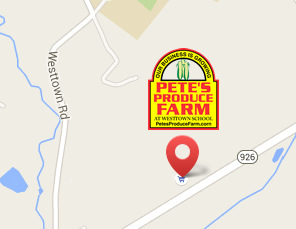 Pete's Produce Farm | See you on the Farm! Pete has been growing sweet corn for more than 30 years. In 1988 he planted Silver Queen sweet corn on one-eighth of an acre and sold his harvest from the back of his pick up truck. Pete is currently growing 50 acres of the sweetest corn in the area. As of now he grows over 10 different varieties of corn, which keep getting sweeter with every season. He estimates that he has grown roughly 1,000,000 ears of corn over the last 30 years. Pete began dairy farming on the Jones’s farm, now the current site of the Bayard Rustin High School, in 1986. Deciding to concentrate solely on growing produce, he sold his cows in 1992 and opened his first stand. In 2000, Pete moved his operation to Westtown School. Built on 170 acres of the school’s land, the large farm stands on the north side of Street Road/Route 926 and grows some of the finest produce in the area. In addition to sweet corn Pete also grows other fresh produce including over 20 varieties of tomatoes,as well as strawberries, raspberries and blueberries. A wide selection of eggplants, summer squashes, peppers, onions, garlic and beans to name a few. Many other fresh vegetables are also grown on the farm and can be found in store seasonally. Our produce is harvested daily to ensure optimal freshness and flavor. Pete is a renowned farmer in the area. Chefs,restaurants and other customers come from all over the tri- state area to purchase our fresh produce. Pete, who was an active and longest standing member of the Chester County Food Bank, designates over 5 acres of land to grow for the less fortunate members of our community. In 2017, that 5 acres yielded approximately 150,000 lbs of produce for the Chester County Food Bank. Working hand in hand with local volunteers and other farmers, it is Pete’s view that no one should go hungry. WE ARE OPENING FOR OUR 2019 SEASON ON THURSDAY APRIL 25TH!! 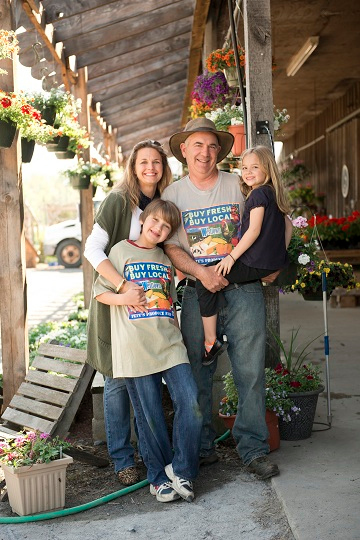 THANK YOU TO OUR LOYAL CUSTOMERS FOR ALL OF YOUR SUPPORT AND DEDICATION TO SUPPORTING LOCAL AGRICULTURE!